I loved reading the news recently about Hostess Brands going public. Score one for supply chain operations, although this aspect of Hostess’s resurgence gets little mention in media coverage of this story. That’s the invisible industry hard at work. I wrote about Hostess back in March and I lauded the company as a terrific comeback story in CPG (or any business segment, for that matter). This was a company that twice had gone into bankruptcy, had changed ownership a couple of times, and still got up from the canvas. Hostess had two major pluses in its corner that worked together to fuel the comeback. One, the company had a brand name that still had incredibly high public currency. And two, because of its iconic brand, Hostess was able to trade on that leverage to deliver product to market in an unconventional manner. Fresh bakery utilizes a supply chain operations model based on direct store deliveries (DSD). 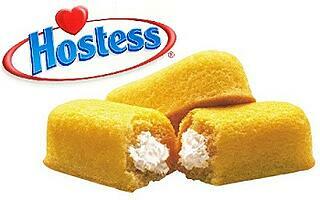 When Hostess re-evaluated its supply chain in 2013, the company decided to abandon this DSD model. It was too expensive. Instead, Hostess chose a strategic supply chain path of using a warehouse direct fulfillment model. They would be the first company in the segment to implement this method. Bottom line: Hostess’s supply chain talent, coupled with the support of senior leadership, were able to drive supply chain operations costs out of the system, while providing retail partners with exceptional service. Furthermore, this bold supply chain decision resulted in the company having a valuation of $2.3 billion. Not bad after almost being out for the count in 2012.